You are here: Home > List of issues > 2018 > Central European Journal of Communication Volume 11 No 1(20) Spring 2018 > BOOK REVIEW: Dan Schill Rita Kirk Amy E. Jasperson (eds.) (2017). Political Communication in Real Time. Theoretical and Applied Research Approaches. New York Routledge pp. 282 ISBN 978-1-138-94941-6. 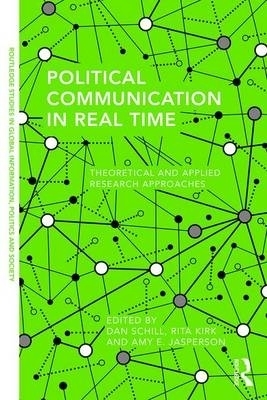 BOOK REVIEW: Dan Schill, Rita Kirk, Amy E. Jasperson (eds.) (2017). Political Communication in Real Time. Theoretical and Applied Research Approaches. New York Routledge, pp. 282, ISBN 978-1-138-94941-6.